Willow Creek Church has recently conducted a several years worth of survey research about their church and various others. 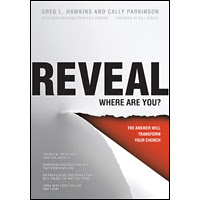 Their book, Reveal, summarizes the findings of this research and promises that "the answer will transform your church." Given the importance of Willow Creek in the Evangelical world, and the novelty of this data-driven approach, I am taking the liberty of offering a review of this book. I'm a fan of Willow Creek, in general, and this book has done nothing to dissuade me. It's a useful first step in introducing survey methodology into the church context. In reviewing it, I will take what is my somewhat standard approach and discuss what I think works well and what I think can be improved. As a sociologist, I'll focus on methodological issues more than church growth issues. I'll also make this into a series of posts so that I can elaborate more fully. In launching this series, let me point out what may be a difference in cultures. In academia, if you think something is important, you give it your critical attention. If something is of little value, you just ignore it. In the rest of the (saner) world, critical attention means something else, usually less appealing. It's in an academic sense, then, that I review Reveal... to show my appreciation for what they have done and perhaps help people understand it more fully. Looking forward to it.... should be good stuff! I grew up at Willow Creek--my dad started going while they were still in a movie theater when I (and the church) was age 4. Is this the study where they basically conclude that program driven ministry doesn't work? I saw a story about that in another place. I have mixed feelings about Willow today--particularly the ways that its ministry values cultural and economic homogeneity. But that's improved since the time I was there. As to why more churches don't do this, I'd bet it's primarily a lack of expertise and resources (both of which Willow probably has an excess of). I'll be interested to hear what you have to say. This sounds very interesting..looking forward to your future posts on this. So you were at Willow pretty much from the start... cool. I'll be interesting to get your feedback! The author states....."Given the importance of Willow Creek in the Evangelical world......."
I ask....just how important is Willow Creek? I attended a church that is affiliated with "the Creek," as they proudly proclaim, who uses The Message as their primary teaching tool. I asked all the leaders of this church how they could use a paraphrased Bible as their primary teaching tool and the response from all the leaders was "it's what easy for our members to understand." I suspect that the Creek, and churches who proudly call themselves members of their "movement," have taken the easy road for many years and have created a social setting rather that one with real meaningful purpose. The Bible is not easy to understand and churches across America should take the time to teach what it says versus what they , or their association says, in order to lead others to Christ. I pray, honestly I do, that this may be the end of the hold "the creek" has one religion in America and that a new breed of churches, leaders, and all others emerge who create effective change, rather than surface level programs that attract the masses. It is possible that Anonymous's recounts accurately what he experienced but it is worth mentioning that Willow Creek does not use Eugene Peterson's The Message as their main teaching text. Nor, do people typically call Willow Creek or the Willow Creek Association "The Creek". Rather, it is often called "Willow." 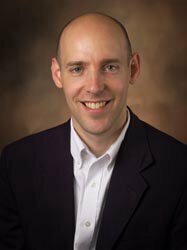 “Certain of American evangelicalism’s subcultural tools which orient evangelicals toward strategies of engagement with their surrounding world seem to undermine their best efforts at exerting an effective influence on the world . . . The problem is that the subcultural codes which evangelicals employ with great conviction are themselves strategically inadequate for the task of social transformation.” Christian Smith, American Evangelicalism: Embattled and Thriving (Chicago: University of Chicago Press, 1998), 217-218. Thanks Bradley for this series of posts which show the weaknesses of the Reveal study. It is too bad that Greg Hawkins rushed ahead with this study and publishing this book with so little sociological sophistication. Well said Andy in that last comment... thanks! I also think that it is worth noting that much of the popular critique of Willow is based on things they were doing/experimenting with in the late 1980's and early 1990's. Willow has changed and grown in significant ways since that time. Their "seeker model" has also evolved and grown, though they are still unapologetic about reaching seekers. Over the years I have listened to probably over 100 messages from Willow Creek--both from their midweek service and their weekend services. I have to say that I would put those messages up against just about any church I know in terms of being Biblically based, solid exegesis, life-changing application, and serious challenge for both believers and seekers. In other words, there is a lot of diversity among Willow Creek Association churches--but all (hopefully) are committed to living out what it means to BE THE CHURCH in their context. So often I think the attacks on Willow Creek and other seeker churches are based on straw-man arguments that don't actually exist. BTW, if anyone wants to hear two great sermons for Advent, listen to the last two weeks here: www.stpaulswired.org/audio. What good comments... thank you for clarifying these issues. I know much less of the Willow Creek model than either of you do, but I'm struck by the antagonism toward them. My guess that we could promote any church in America to prominence and it would attract a number of critics... maybe it just comes with the territory. We're developing something of a Research clearinghouse for helpful cityreaching research. Perhaps having a common wiki bin of great research, with links to solid Christian researchers, could help EVERYONE more readily find truth and effectiveness. I find it annoying as well how quickly people dog on Willow. I am not sure how many churches would want a microscope on their own place. As far as the credibility of the study, I'm wondering how much we can make of a study that surveyed 7 churches, predominantly from the Midwest, and only 120 interviews to supplement the survey. I think Hawkins came out later saying the study was broader than this, but that's not what got printed. I'm confused. I just came across your study and am looking forward to reading it in more depth. but as I weigh a deeper response, I will certainly take full advantage of your expertise. I have spent over 20 years attending and faithfully serving at Willowcreek Church. For years I had been complaining to my mentors and leaders of the church that too many of the messages were like reruns or had no substance to me. I begged for answers of what to do to no avail. Now I feel like all the church has done is admitted a 30 year mistake and said oops without truly doing anything to rectify the situation other then the fact that all of the pastors have abandoned the church in a very short time with flimsy excuses for leaving so quickly. For too many years the services have been like the God Show Lite and New Community hasnt been much better. My spiritual life has been stagnant for many years. Now Hybels tells me I was supposed to have become a SELF FEEDER, and here I always thought I was coming to the church to be fed. If I am a self feeder, then why do I need the church? Isnt it amazing how Bill can accept responsibility on one side of his mouth and blame the congregation for not becoming self feeders. I have now switched to a church who doenst use the seeker sensitive model and have been getting fed weekly once again. Thank you Harvest. radloverofbp... you can't be serious, can you? You have been a Christian for over 20 years and get upset that someone else didn't read the bible to you more? A mature believer has all the tools they need: the bible, prayer, the Holy Spirit, spiritual gifts. Add a good small group (after 20 years I assume you have enough friends following Christ that you could form a good one), and ministry/service opportunities galore (especially around Chicago)... not sure it is fair to blame Willow for your stuckness. Why do you need a church? Help fulfill the great commandment and great commission. The chance to serve and become more like Jesus. please please please let us not mistake spiritual maturity as some sort of ticket towards independence. God did not design us to be independent Christians. The Spiritually mature need people who can hold them accountable as they STRIVE TOWARDS HOLINESS, which is what Christ wants His church to be. Lots of Bible verses could be used here, but I'm afraid the treasury of Scripture knowledge, by the illumination of the Spirit of God is not held in high regard within the Willow Creek movement. Christ did not plant a church, and then say, "okay, world, now you figure it all out with sociology, marketing, and focus groups." Christ has a plan, and He laid it out in the Bible. Simply put: "You start with a pure church, and God will do the adding." besides, it's not about numbers, it's about wheat. It's about seperating the wheat from the tares. 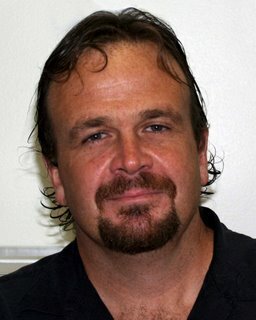 Maybe the comments made so far questioning the validity and accuracy of the 'Reveal' study are leading to a review of the surveying methodology used by Willow Creek, From a significant survey experience and formal education viewpoint, the 'Reveal' survey methodology may have provided inaccurate data. As also an 8 year attendee at WCCC, I did a poor job completed one survey, and quit on the rest sent to me. They were all too long. The questions were confusing. Also, a volunteer survey most always does not lead to a statistically valid and truly random sampling of the population. More: One hundred as an interview sample size is suspect. Was a truly random selection process used? If the interviewing structure was similar to the surveys, that may have also contributed to false data. Survey science has many challenging variables. I hope Willow Creek is seriously seeking a new, more scientific survey approach. I just finished a Reveal survey sent out by my church. I am a missions researchers based in Asia, trained in survey design and analysis (B.A. and graduate work in Sociology and marketing research exp), along with theological training (Masters of Theology). This survey was one of the poorest I have ever seen. It violates, on countless occasions, rules of internal validity (will each respondent have the same concept of the question as the person who wrote the question intended) and external validity (do the responses give an accurate picture of reality). If Willow Creek is admitting that they have failed at helping their members to grow in their devotion to Christ, why are we looking to them to determine if our church is also? Willow Creek's problems are not related to their programs, but their fundamental philosophy of ministry rooted in their doctrine.